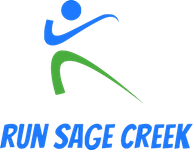 Run Sage Creek – #RunSageCreek in Winnipeg, Manitoba! Mark your calendars for Sunday, October 13th 2019 for the second annual Run Sage Creek! Explore the neighbourhood trails on 1K, 3K, 5K, and 10K courses. Registration opens April 2019. We are grateful for the support we have received from our 2018 sponsors.